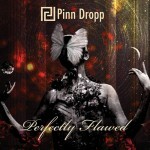 Share the post "Album review: PINN DROPP – Perfectly Flawed"
When I saw Pinn Dropp were another progressive band from Poland – home to some of the finest progressive music released in the last ten years – I was hoping Riverside, Believe, Satellite. The band were formed in 2015 by guitarist Piotr Sym and ‘Perfectly Flawed’ is their first full length album following an EP release in 2017, ‘PD/ED’, which, apparently, received positive reviews. The problem with this is that perennial elephant trap of trying too hard to be as progressive as possible – the twenty minute epic, the interminable, overly-earnest lyrics about personal relationships, the cap-doffs to the gods of yore (especially IQ), one track being broken up into five sections and, perhaps worst of all, the use of tired and hackneyed sound effects. I swear, if I hear another wave breaking on another shore I’ll stab my own thigh with a pair of compasses. However, despite all of this, there seems to be a really good band trying to get out here. Much of the playing is first class – there is some excellent guitaring, nice piano work and even a bit of flute - but the whole thing tends to get bogged down in overworked progressive rock tropes that lead the listener to distraction. This is a shame as it all could have been so much better. If they could just be themselves instead of trying too hard to ‘fit in’ with a stereotypical template of what they think prog SHOULD sound like, they certainly have the musical ability to do so. This entry was posted in ALBUM REVIEWS, ALBUM REVIEWS (Mobile) and tagged album, Perfectly Flawed, Pinn Dropp, Poland, Progressive Rock, review. Bookmark the permalink.